For what you basically have, I think you'd be better off with a Mother-32, Neutron, or something equivalent unless you're dead set on the VCOs you've selected. 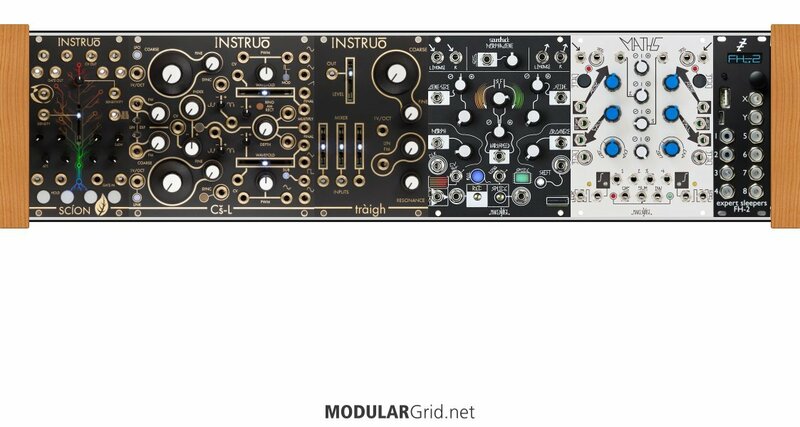 Then slowly add a skiff with some modules to compliment or augment what you have. If you're going to stick with your skiff (nothing wrong with that), you might want to add a buffered mult so you can supply both oscillators with the same control voltages and gates. Passively splitting CV that's controlling pitch can cause issues with accurately supplying the intended voltage to the 1/v Octave inputs. Thanks for your reply - much appreciated. I had an ocoast which I sold partly to fund a Prophet 12 (which is great) but I miss the sound of that oscillator so that’s why I wanted to get some make noise stuff. Understood. There are no wrong answers. I would get another 0Coast then and then skiff to augment it. I wouldn't put the 0Coast in a rack since rackspace is expensive. You know the architecture of the 0Coast, it has the sounds that you want... go for it. You're going to get a different sound out of this set-up than your 0Coast, even if it's the same manufacturer. You may also want to check out Expert Sleepers FH2 as your MIDI interface instead of Yarns. It connects directly via USB and all 8 outputs can out put CV, gates, and triggers/clocks. Pair that with the 0Coast and you've got the core of your system right there (assuming you want to go all CV and gates). Then augment it with anything else you want. I believe the 0Coast will take MIDI-Clock in, but I don't know if it will output clock. Don't underestimate the need for clock in your future rack. Bottom-line, do what's best for you and take any advice (especially mine) with a grain of salt. I'd look on eBay for a second-hand 0Coast and get the sounds I've been missing and then build from there. Had a feeling I would regret selling the ocoast and I think that plus some extra stuff is the right way to go. Definitely want to add another oscillator so maybe I’ll start the rack there with some midi and clocks as you said. I think what I’m really after is a really big analog sounding monosynth - with the ocoast I could hear the volts in the tone. You're welcome. Whatever you sold the 0Coast for would be the target budget. That way you haven't lost any money on a prior decision... you might even come out ahead.